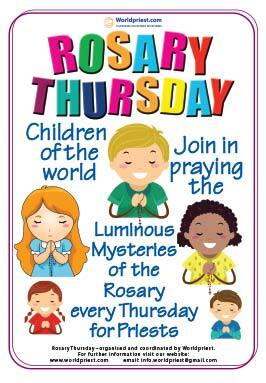 Children from all over the world are now invited to join the many other children who are already praying together the Luminous Mysteries of the Rosary for the sanctification of priests worldwide on Rosary Thursdays. It’s easy. 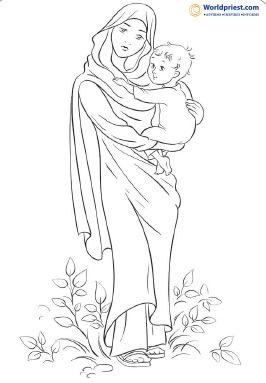 Just ask your teacher, your parents, grandparents or friends how to join in next Thursday in prayers from all over the world. 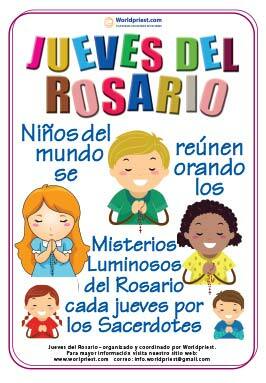 Download the poster and share it with your friends. 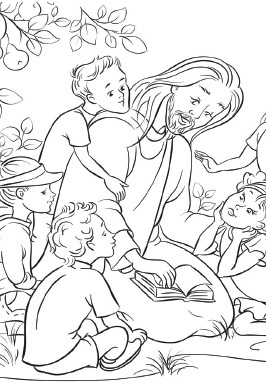 You can also download the pictures to be coloured in and given as a gift to your local priest on any Thursday.